*Floor plans are being developed for our 1360 SF and 1470 SF homes. 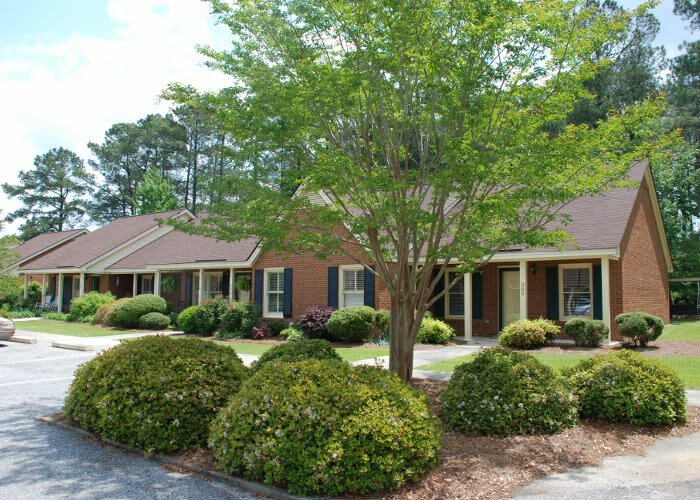 Our homes and apartments for seniors in Florence, South Carolina, are available in a variety of layouts, sizes, and styles to accommodate your needs now and as they change over time. Choose a private patio home for an independent lifestyle in the comfort and care of our senior living community in Florence. Those wanting to be inside the main building will love our cozy yet spacious apartments. Those needing a little more help throughout the day will enjoy living in our assisted living, memory support, and healthcare accommodations. No matter which floor plan you choose, you’ll gain access to an inviting community where you can feel right at home while enjoying fun community events, welcoming spaces, and spiritual nourishment every day. Schedule a tour today to view your favorite patio home in person. Interested in one a senior apartment from PCSC in Florence? Call today and we’ll be happy to schedule a tour of our apartments.